You may already know that yesterday was World Book Night (or World Book Day if you are an elementary school librarian. 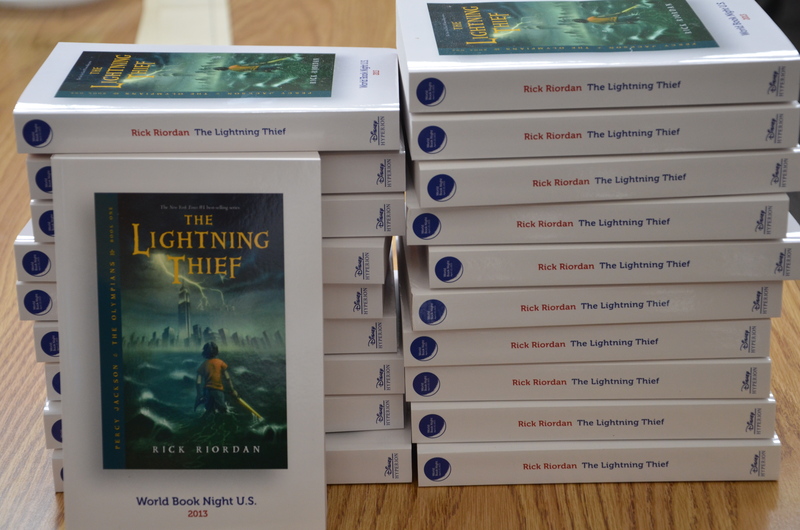 Thanks to the generous sponsors of this program, I was able to present 20 students with a free copy of The Lightning Thief by Rick Riordan. It’s always a good day when I can put a book in a child’s hands.